How to have a massage without a massage? 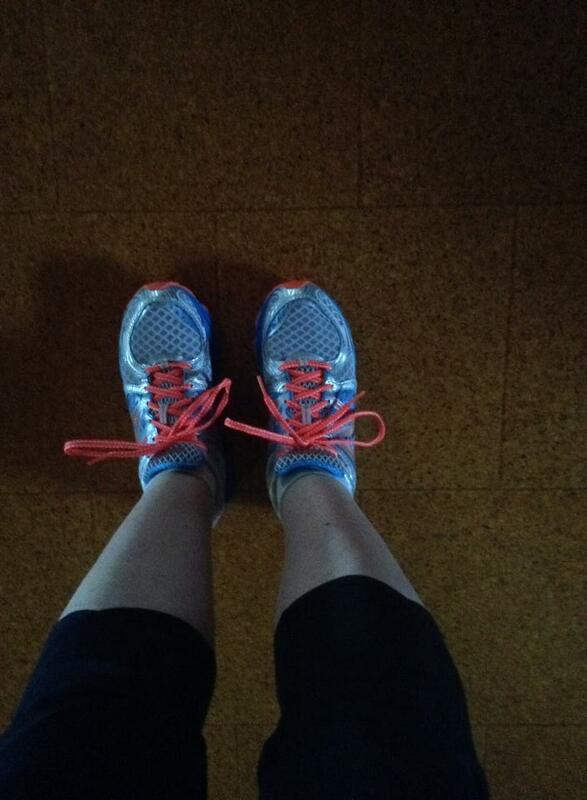 As some of you may know, I’ve been training for a half marathon recently – well since March really! Lately I’ve had a few issues with my training. It started in mid-May, I’d just run my first 12km distance in my preparation, and suddenly I had very tight, painful glutes and upper thigh areas. What to do? Firstly, I thought it was my trainers. When I began this journey, I was running in trainers that were more suited to bushwalking than road running, but I persisted with them, mainly because they were relatively new. 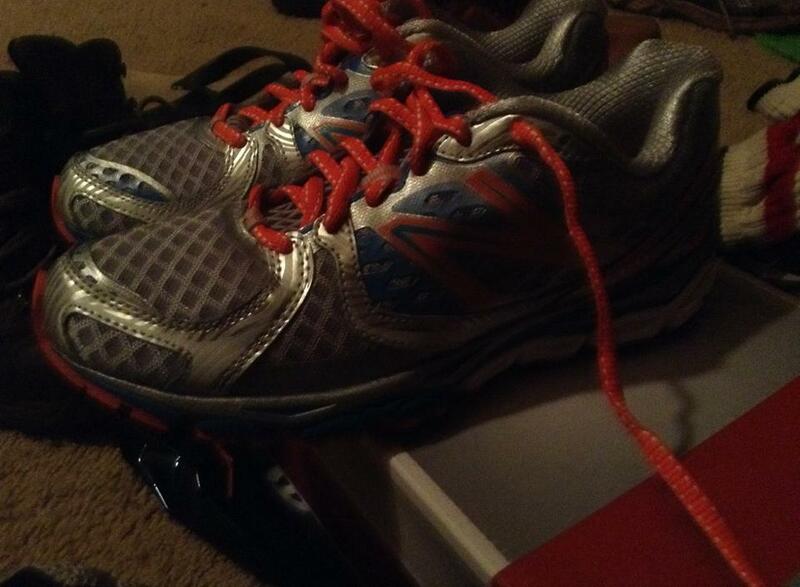 My thinking was I’d go for some “you beaut” running machines about 5 – 6 weeks before the race, giving me time to ‘break them in’. Well, when I checked out my trainers, I could see quite a bit of wear on the outer heel, indicating that I was putting my foot down on the outer edge when running. So, try new shoes. Well, as it wasn’t quite time for a brand new road running pair, I tried the pair of same shoes that I had waiting in my cupboard. This didn’t seem to fix the problem. Week one of not training well! Secondly, I then discovered I should really be stretching properly before I run and also after. Something I had not been doing very well it would seem. So, the following week, it was time to ensure stretching was occurring regularly and of the correct muscles. This seemed to help the problem a lot, so I was back into some training. Week two of training better, but not back to full steam yet. Only to be suddenly halted again. Nope, it wasn’t a physical injury this time – it was the COMMON COLD!!! How embarrassing, I’m a natural therapist and it appears I had forgotten to look after myself well. Oh well, sometimes the body needs to do some quiet resting and regenerating. This resting and regenerating came about for me over the next two weeks while I took the time to recover, using my homeopathics and regular essential oils to ensure that the recovery was steady, even though it wasn’t as quick as I had hoped. See my last post on Secrets to Winter Living to read about the different homeopathics, essential oils, dietary changes and herbal teas I used to ensure I managed a full recovery. Time to start running again. Well, for the last 2 weeks, I’ve been back on the road again, making sure that the stretching is happening pre and post training, that the shoes are not wearing, that I’m running more on the ball of my foot rather than the outer of my heel. However, I am still feeling tight muscles in my upper thighs and glutes areas. What to do? Well, the obvious answer is to go for a massage. As an Aromatherapist, I truly know the benefits of massage to release those tight feeling muscles. My issue is that I’m not a fan of deep tissue massage, and I feel that most therapists would be suggesting this to me once they knew what my issue was. My way to overcome this? Well, as an Aromatherapist, it is to create a blend that is warming to my muscles, a pain reliever of the tight muscles and all while easing the tightness in them too. The joy of the essential oils is that a nice way to apply them is to have a massage, but essentially, it is the oils that are getting into the blood stream and hence into the muscles to work their own special kind of magic. Thirdly & finally, my step last week was to create an essential oil blend that I can apply to my legs pre and post workout, to ease the tightness that is being created, to warm the muscles, to overcome fatigue, to relieve pains, to be uplifting and energising during my training. If you’re making this at home, please contact me about the correct dilution and never put the essential oils directly onto your skin without a carrier oil. I have now been using this blend for a week with my runs (my training partner informs me it smells of honey!) and my muscles are certainly not as tight, they are recovering well from my run and I am stretching further than I was a week ago. I am also back up to running my 12km training on the road (with 9km and 6km runs between), looking at 15km next week, 18km the week after, then the half marathon (21km). Very exciting indeed! All up, I would recommend this blend on your muscles pre and post a training run to assist your muscles in recovery. Do contact me if you would like a bottle of Workout Blend! I now also wish to look at Thuja and Sabina. 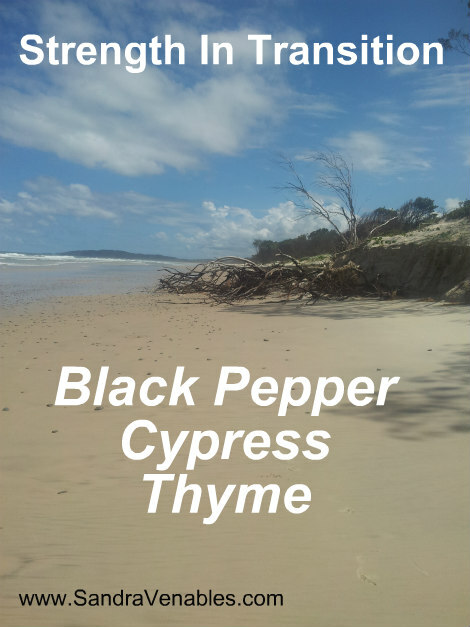 As these two remedies are also from the Cupressaceae family, I believe we will find more similarities than differences. Also known as American Arbor-Vitae (tree of life), Eastern White Cedar, Yellow Cedar and Swamp Cedar, as well as other names. The Thuja type is often described as having a low self-esteem, with a sense of ugliness inside, though they hide these feelings to the outer world and provide a picture of themselves that they believe others wish to see. This outer appearance is very important to them. So, again, we see a lack of self-confidence, similar to the Cedarwood, however this time, the lack of self-confidence is derived from a sense of internal ugliness and worthlessness. The behaviour of the Thuja types is to present a pleasing picture, so we may not see the dominance of others around them, however in the early stages of their illness this can be seen when they portray themselves as confident and arrogant. We do also see the dogmatic type of behaviour, this is portrayed as being a slave to duty, fanatic about their health and also religion, with a rigidity of ideas. 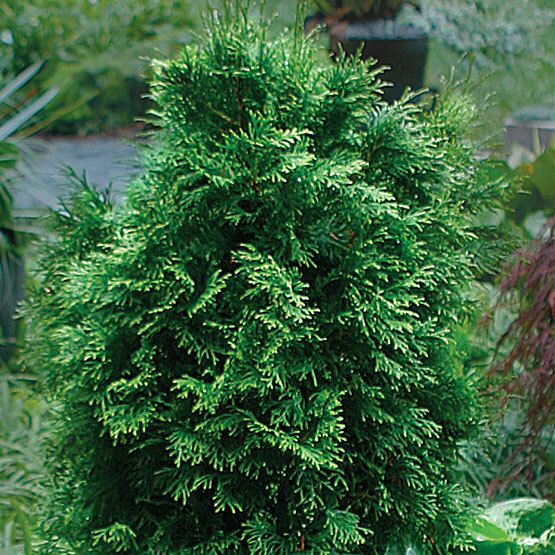 The Thuja types are generally very closed, yet polite and mild mannered. They have an underlying feeling that if people really knew them, they would not like them, and they have the need to fit in, almost a desperation to fit in. In early stages, the overbearing and dictatorial picture can be seen which relates to Cedarwood. Cedarwood is utilized to improve a sense of self-worth and self-acceptance, which appears to fit well with the Thuja picture. Physically the sphere of action of Thuja is the mucous membranes, though of the genito-urinary region rather than the respiratory system, mind, nerves and skin. The urinary sphere of action does fit with the Cedarwood physical picture also. I would be happy to utilise Cedarwood in a blend when using the homeopathic remedy of Thuja. Both appear to be supporting an individuals need to improve their self-worth, and self-acceptance, providing the person with a confidence and belief in themselves to move forward with the next obstacle in their journey, with a degree of self-belief. Thuja types may also have a past experience that was abusive, and as with Cedarwood, there will be an element of healing this past experience. On a physical level the urinary mucous membranes are covered in both Thuja and Cedarwood. I believe that Thuja and Cedarwood are working in the same direction and would be beneficial to work together. There is little to be found on the mental and emotional picture of Sabina, as the emphasis is more on the physical aspects of the remedy. The picture that does appear on the personality type of Sabina is mainly one of sadness and dejection, nerves irritable, specifically to music, and overall lowered vitality of personality with an enhanced sense of duty towards their family. This is difficult to compare to the Cedarwood, as there are few specifics, though an overall protection of the family, the weak ones, would be similar. From a remedy relationship point of view, Sabina is stated to be complementary to Thuja. Physically Sabina has a sphere of action on the female pelvic organs, specifically the uterus. This does not relate well to the physical actions of Cedarwood, so I would not use Cedarwood with Sabina. Though, when I look further at Juniper berry/wood, it may be more appropriate to use that essential oil instead.